A lot of schools in Nepal use violent methods to punish students but we believe that children deserve the right to be able to learn and develop in a safe and happy environment. Many of the children in our care come from violent backgrounds and we did not feel happy sending them to schools where violence was used. We also believe that if children are taught to be violent at an early age they will be violent later in their lives. As a result, WFN runs a violence free school in Kathmandu where children receive an excellent education in a peaceful environment and do not have to fear violent punishment. In April 2013, the school started with 150 children and currently, 575 children and teenagers study up to 10th grade at the Bipul School. 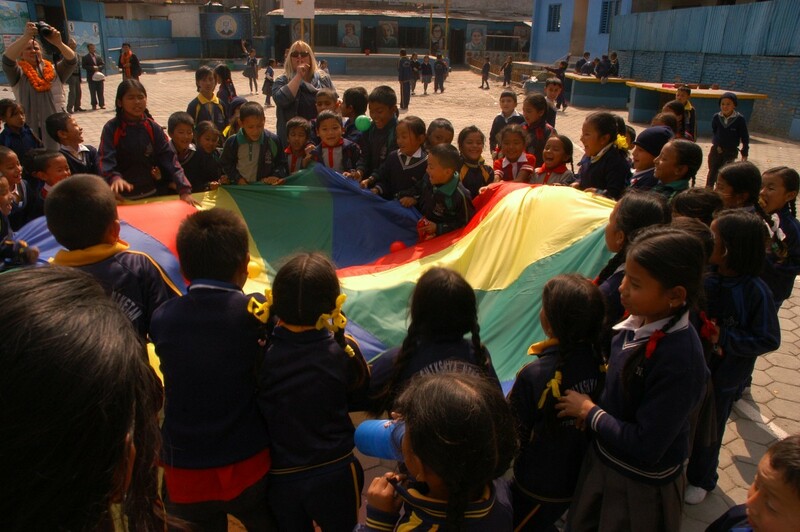 The school was established in April 2013 with funds from The Women’s Foundation Nepal and with the help of people in the community who share the same values of non-violence. The pupils are from the shelter home and the local neighborhood. The teachers give each student the chance to fulfill their potential and reach their educational goals. Become a sponsor of one of the children from the Shelter Home or obtain a scholarship for a poor child and invest in the future of the children of Nepal. See more pictures of the Bipul School.